Sephora Favorites Lashstash To Go for Summer 2017 | Top Beauty Blog in the Philippines covering Makeup Reviews, Swatches, Skincare and More! 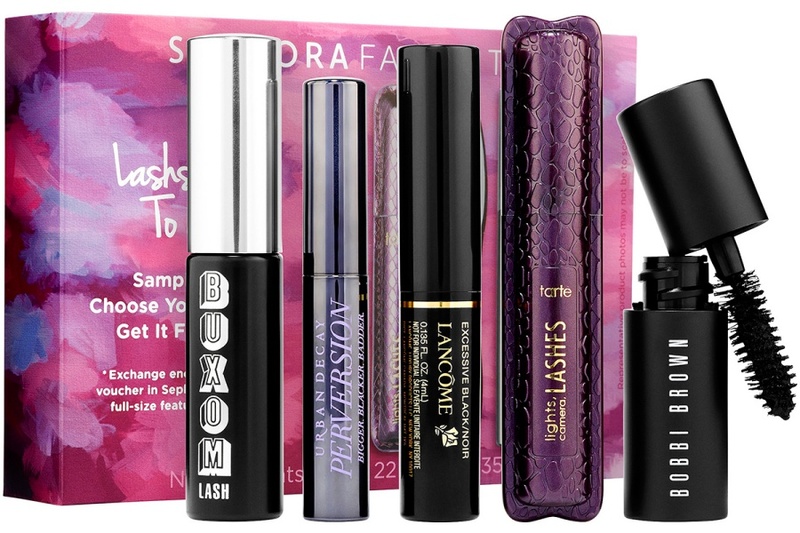 A multi-branded mascara set with five deluxe mascaras and an enclosed voucher to redeem a full size of your favorite one in store. Lashstash to Go features five deluxe mascaras in black—and a voucher to come back and redeem for full size. A long-lasting, high-impact mascara, the Bobbi Brown Eye Opening Mascara in Black features a jumbo brush and a rich, carbon-black formula that intensely thickens, curls, and lifts lashes. The BUXOM® BUXOM® Lash Mascara features a clump-resistant formula that deepens, darkens, and thickens, while the curvy brush coats lashes from root to tip. Lancôme’s Hypnôse Drama Mascara sweeps on fanned out, high-volume lashes. Tarte Lights, camera, lashes™ 4 in 1 mascara coats lashes to lengthen, curl, and volumize. Urban Decay’s Perversion Mascara is an ultra-creamy, lengthening, and volumizing mascara for stand-out lashes.